Why Ship to the UK? What can I send to UK? What items are restricted? Shipping to UK with Send My Bag is a valuable service for those looking to travel with large or bulky items - anything which may not fit in your luggage allowance. There are many reasons why you might need to ship items with Send My Bag to the UK. Perhaps you are relocating from outside of the UK or taking an extended activity break. You may have an important business meeting, or just want an exciting break away. If you find yourself restricted by excess baggage fees, or hand luggage-only fares, you may need someone else to transport your other items. Send My Bag pick up your baggage from home and drop it off at your accommodation in your destination country, taking the hassle away from you - it couldn’t be easier. This is very handy for students who need to transport a lot of items to and from university in the UK, especially those who need to clear out their student room at the end of each term. This way, students won't have to miss out on their favourite possessions but can create a home away from home to help with homesickness. As well as baggage shipping to UK, Send My Bag also enable you to send a parcel to UK, which is a great way to get a care package or gift to a loved one abroad in the UK, or you could send over some personal effects that they left behind when they moved abroad. If you need to move your possessions to the UK, you should make yourself aware of the various options available for shipping to UK. Some options will be more practical for you than others. You can choose between several different options for international shipping to UK. Here are some of them below. You can send your luggage and boxes to the UK with Send My Bag. If you are taking a trip to the UK or if you are moving there permanently, you can avoid a lot of unnecessary stress by sending your bags. It means you can jump on the bus or train as soon as you arrive without lugging your bags behind you. It also means that you can take many more of your personal belongings than a typical airline would allow, and you can avoid extortionate excess baggage fees. Send My Bag has numerous international routes, with a great-value flat rate for each route up to a massive 30 kg. This means that you can bring your favourite clothes, DVDs and mementos, etc. to help you set up home abroad. To learn more about sending luggage to the UK, visit our ‘How it works’ page, or our ‘FAQs’. The UK, and Scotland in particular, has a wealth of fantastic golf courses for the golf enthusiast to enjoy. So why not sample some of them using your own golf clubs. You can send your golf clubs to Scotland or other regions of the UK with Send My Bag. This way you can check out courses like St Andrews, Loch Lomond, Muirfield or Royal Troon without having to rent golf clubs. Before you send your golf clubs to Scotland, make sure you find out how best to package them by visiting Send My Bag's information page on sending golf clubs. You can send your bicycle to the UK with Send My Bag and enjoy the many dedicated cycle paths in a range of different landscapes. You could try the Cotswolds, the Peak District or the Lake District, to name a few must-see areas. You can have your bike sent to your first hotel and picked up again at your final hotel. In between you can cycle through the UK to your heart's content. This will take all the hassle out of travelling to the UK and it means you don't have to rent a bike but can enjoy using the bike you know and love. Your bike will need to be taken apart and properly packaged before you send it to UK. Read our bike shipping information page to find out more. If you are migrating to the UK, to work, for retirement, or to be closer to family, you’ll have plenty of things to take with you, no matter how hard you try to get rid of things beforehand. You will need to look into international removals to the UK. Before you hand over anything to the movers, however, make sure that all your items are well packaged so that they won’t get damaged in transit. Use appropriate packaging for your items and seal everything up well. The UK has some of the best universities in the world, including the University of Oxford, the University of Cambridge and Imperial College London. If you are moving to the UK study there, or indeed travelling within the UK to go to university, you can use Send My Bag to transport your items to your halls of residence. Check out our student shipping page and learn how to receive 10% student discount. You could ask a friend or relative to send a package to the UK if you happen to leave something behind. Sending a parcel is also a good opportunity for sending gifts home. If your friend or family member has moved to the UK you could give them a reminder of home by sending a care package. This is a great idea for students spending a year abroad in the UK or for expats who have gone to settle in the UK, and who are feeling a bit homesick. Send My Bag can send parcels internationally to the UK for you. Please ensure your package is parcelled up properly so that everything arrives in one piece. Take a look at our information page on sending a parcel to find out what you can send with Send My Bag and how to package your items. Air freight is one way you could send items to the UK, if you have a table or an armchair to transport, for example. The amount you will be required to pay will depend on the weight and size of your shipment. Sending items by air freight usually takes one to two days, which is usually quicker than sea freight shipping, but typically more expensive. You will likely have to use the services of a customs agent to handle customs clearance for you. Also, you will need to arrange how to get your items to and from the airport. You will, therefore, have several different costs to consider if you choose air freight. If you send internationally by air freight to the UK your items would likely arrive at one of the major airports, such as London Heathrow or East Midlands Airport. You could transport your possessions to the UK by sea freight rather than air freight. This is an option to consider if you don’t need to receive your items immediately. Sea freight usually means shipping items in large containers loaded onto cargo ships. Again, this option is usually used when shipping large bulky items, such as furniture or even a car. Sea freight can be cheaper than air freight, but you will need to use the services of a customs agent and will need to sort out how to get your items to and from the ports. So, the cost could end up being more than you first expected. When using container shipping to the UK your items will most likely arrive by ship at one of the major sea ports, such as Southampton or Liverpool. Shipments of used personal effects that are being returned to the UK after being outside of the EU for less than 12 months such as for a holiday, and shipments for non-UK residents that will only be in the UK for less than 12 months for reasons other than study before being exported again, are normally eligible for duty and tax free entry with only a short statement being provided to confirm the reason for import. This statement can be completed online via your Send My Bag account once an order has been placed. Duty relief is at the discretion of customs however and further information may be requested by them to confirm the reason for import if unclear. If the shipment is entering the UK permanently for reasons other than study and originated from a country outside of the EU, or is being imported by a returning UK resident who has been outside the EU for 12 months or more, you will need to apply for a “Transfer of Residence Relief” (ToR) code from UK customs (HMRC) using form ToR01, in order to obtain duty relief at the time of the shipment’s entry. If you are completing the ToR01 form, we recommend that you click preview and save as a pdf, and the form can then be emailed along with the requested accompanying documents (once the form is completed online the HMRC website will advise what accompanying documents are required for your particular circumstances) to nch.tor@hmrc.gsi.gov.uk rather than being sent by post. If the consignee is already in possession of a ToR code, this can be supplied to Send My Bag via your account once an order is placed. If at the time of collection, no ToR code has been supplied, duties and taxes will be applied and need to be paid by the recipient. The charges will be billed by our courier partner either prior to delivery, or at the time of delivery of the shipment, depending on the total value of the charge. A claim for rebate of any duty and taxes paid can then be submitted to HMRC by completing a C285 form on their website. Due to the information required on the form, you will need to contact Send My Bag supply you with the information and documents required before this can be completed. If the application is successful, any duty or taxes paid will be refunded by HMRC excluding the £11-12 admin fee for collection of taxes. If the consignee is travelling to the UK for study, they will be required to provide a copy of their enrolment or placement letter from their College or University in order to be eligible for duty and tax free entry. Shipments for returning UK residents are only eligible for duty free clearance if the goods are declared as of EU origin i.e. are returning goods. If the contents are declared as mixed origin i.e UK and foreign items, duties and taxes will be levied on the entire shipment and not just the items of foreign origin. All shipments must enter the UK within 12 months of the consignee’s arrival in the UK to be eligible for clearance as used personal effects. There is a generous duty free allowance for personal effects in the majority of Send My Bag destination countries. Most shipments worldwide will, therefore, not be stopped by customs. Personal effects are typically considered to be used items that have been in the sender's possession for at least 6 months. If your bag is searched by UK customs and is found to contain brand new or commercial items, you may be required to pay customs duties and taxes. Please bear this in mind when sending Christmas gifts. You should familiarise yourself with UK customs so you are aware of potential customs duties and any documents you need to attach to your shipment. Customs processes and allowances do vary by country so we advise all travellers to take 5 minutes to check how their personal circumstances and what they are sending will be assessed under the prevailing customs regulations of the destination. If you are shipping your items to the UK from within the European Union, it couldn’t be any easier. All you need to do is simply attach your tracking and backup label. For those who are coming from outside the EU to the UK you need to complete a packing list and provide us with your "TOR Code" (if required). Without doing this you may face delays and customs charges to get your items. In order to demonstrate that your shipment consists of personal effects, you will be required to complete a brief non generic packing list online, with entries to be made in the format: "5 x Woollen Scarf, 2 x Denim Skirt, 3 x Cotton Shirt", and so on, rather than as "10 x Used Clothing". More information is available on our customs information page. Alternatively if you have questions, please feel free to give us a call. Then sit back and relax and enjoy your trip to the UK. The United Kingdom allows gifts to enter the country duty free provided they valued at £39 or less (per person). Gifts valued between £39 - £135 will have VAT at 20% applied and anything declared above £135 will have VAT and a minimum 2.5% duty applied. To meet the gift criteria, they must be for an ‘occasion’ such as Birthday, Anniversary or Christmas. They must be sent between 2 individuals i.e not shipped from or to a business address and the items marked as gifts must be for personal use only. Where multiple gifts are being sent in the same consignment for multiple people, each item must be individually wrapped and marked for the different intended recipients. On the packing list, each item listed will need to have a name next to the description of each gift as to clearly mark for customs who the intended recipient is. The UK is a great place to visit if you want to enjoy a great city break, see the sights and go shopping. 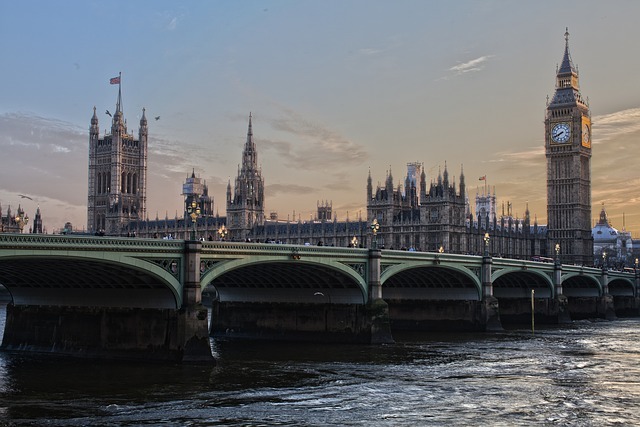 Check out the Capital city of England - London - and see the Houses of Parliament, Big Ben, The Tower of London, Westminster Abbey, The British Museum and many more British Icons. The historical city of York was once believed to be the Capital of England. Today it is home to a Viking and Roman past, and is a must see for those wanting some history. Heading to Scotland, Edinburgh is a must, from the hauntingly beautiful Edinburgh castle to amazing shopping and a wealth of history, plus it’s a great gateway to the rest of Scotland. Cardiff, the capital of Wales and its largest city, has had a cultural overhaul and massive redevelopment, moving on from its industrial roots and becoming a more cosmopolitan tourist hive. For those who enjoy cycling, walking and hiking holidays, you are spoilt for choice here in the UK, with exhilarating Coast to Coast trails. Cross England on Wainwright’s Walk, from the English Lake District, the Pennines and the North York Moors across the heart of England. In Scotland you can take in the Scottish Highlands: Loch Ness, the Great Glen, Ben Nevis and Glen Coe. And finally in Wales, you can go from Conwy to Swansea taking in the famous Welsh countryside and rugged coastline. For those who like a challenge, scaling the British mountains such as Ben Nevis, Snowden and Scarfell Pike is a wonderful adventure and you will get to see some of the best views in the UK along the way. Don’t let the weather in the UK put you off, it’s not always raining! In fact you can enjoy some gloriously hot summers in the UK. Why not head to one of its many top beaches to make the most of the British summer sun. From the beautiful Rhossili Bay in Swansea to Woolacombe Beach in Devon, across to the South East coast with Camber Sands in Sussex and up to Bamburgh beach, in the North East, and not forgetting Nairn Beach in Scotland.